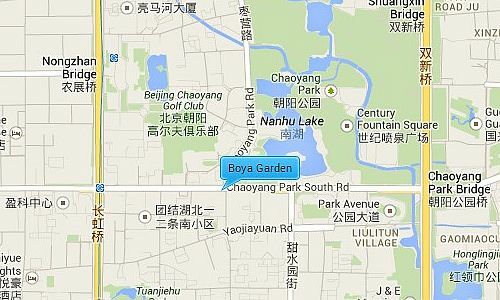 2 high-rise buildings connected by one low-rise building completed in 2002, Boya Garden’s has a total construction area of 97,000 square meters, and a total land area of 16,500 square meters. The compound consists of two 28 storey buildings and one 14 storey building. The apartments range from a 125sqm 2 bedroom apartment to a 387sqm 4 bedroom apartment, with some boasting great views of the nearby golf course. The 3 buildings are connected by a fantastic 400sqm hall. The lobby is big and fancy with coffe bar. Living rooms are bright and large with French windows. Large kitchens and bright bathrooms equipped with high-class imported appliances. 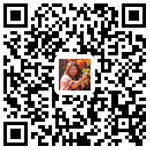 Boya Garden is situated to the west of Chaoyang Park (Beijing’s largest park). It is between the 3rd and 4th ring road giving it easy access to all major destinations, as well as being surrounded by 3 main embassy districts. It is also close to two major expat areas Lufthansa and Sanlitun, where residents have access to a plethora of restaurants, shopping malls, supermarkets, health centers and Beijing main night spots.